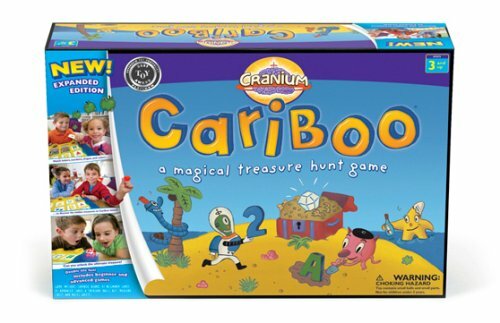 A game where children have to match letters, numbers, shapes and colors to find six bouncy balls and unlock the treasure chest. Kids try to match the drawn card to an image on one of the locked doors. Using the key, kids can unlock the doors, trying to find the six hidden treasure balls as they go. Finding all six balls opens the treasure chest, and the last one to find a ball wins. Quick rounds only last about 10 to 15 minutes, and it’s hard to find a pre-K child who doesn’t like playing with locks. One of the most loved games for speech therapists out there, this game lets kids practice their language skills while matching colors, shapes, letters, and numbers. While the included rules won’t hold the attention of kids who have already mastered their letters and numbers, the beauty of this game is that it can be played in ways that go well beyond what is explained on the rule card. To help give some pointers and ideas, we’ve linked off to sites that not only explain ways of changing up the rules to really get the most of out the game, but also to a site where users can purchase 25 pages worth of additional card sets to print off. Doors open in the plastic game board to reveal areas where one of the hidden treasure balls may have ended up. Game includes two card decks (Beginner and Advanced), 6 treasure balls, plastic game board, and blue key. Draw a card, then try to match that card to an image on one of the doors. It can match by color, number, or letter. Once a match has been made, open that door using the key and see if it hid a secret treasure ball. The treasure balls are dropped into the openings along the top of the game board before the game. They roll around inside and end up behind random doors, but kids can shake the board around to feel like they helped with the randomness. Each hidden treasure ball found is dropped into the river. When all six balls are dropped in, the treasure chest opens to revel a sparkly gem. Whoever finds the last ball and opens the treasure chest wins. Rule sheets for both Beginner and Advanced levels are included. We explain ways to make the game more challenging below, in Observations. Since the intention is to help improve color, shape, number, and letter recognition, this game isn’t likely to appeal to kids for terribly long. With that said, it does seem to be quite engaging for kids who are still at that learning stage, making it a great choice for classrooms and speech therapy offices. 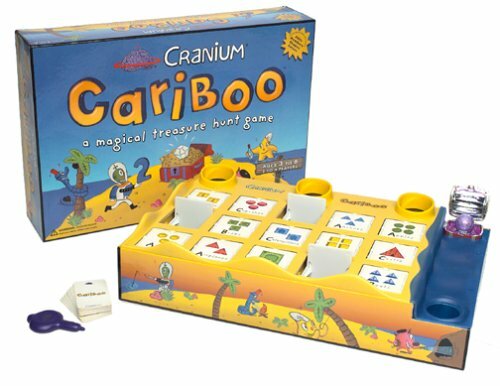 In order for kids to really learn anything from this game, supervision of an adult or older child is needed. Flipping open the door and using the key is fun and all, but knowing if the letter or word is indeed being used correctly takes someone who already has proficient language skills. It should be noted that the treasure balls are really just high bounce balls, so they may end up being a distraction for kids who really enjoy that kind of thing. As mentioned in our Play section, we came across not just ideas on how to change up the rules, but also a place where you can get templates for 28 themed sets of additional cards. The cards cost $5.50 and you’ll have to print the 25 pages off yourself, but we’ve found these sets to be invaluable to teachers. Speaking of teachers, the game’s best reviews often come from either teachers or speech therapists. An easy change of rules can breathe new life into the game once kids are used to matching all the colors and shapes. Something as simple as asking kids to name the plural version of the matched object can help with language skills, so feel free to change it up however you see fit. Kids never seem to get tired of playing with the key to unlock doors, and finding the balls adds an exciting incentive to keep playing. For more information on how to clean toys, take a look at our Cleaning Guide for Toys. Additional card sets can be purchased here. This game is no longer made by Hasbro, but we often see it at Goodwill and other thrift shops. Otherwise, there’s always the internets. We don’t have any concerns for this toy. This game is an enjoyable way for your little one to learn the ABC's, numbers, shapes and colors. Each turn gives kids a chance to match fun drawings, unlock secret doors and discover hidden treasure. Designed especially for young children. For 2 to 4 players, ages 3 to 6 yrs. Imported.